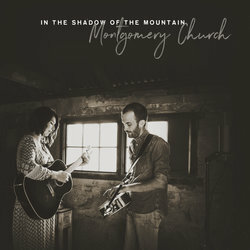 Cielle Montgomery and James Church are ‘Montgomery Church’ - a blend of acoustic folk, americana and bluegrass influences, grown and distilled in the Snowy Mountain ranges of country New South Wales. With their organic union of dobro and guitar, harmony vocals, and tasteful songwriting, this captivating duo are enthralling in their dynamic intimacy and embrace all that is subtle, spacious, and sensitive. Since their formation in 2016, Montgomery Church have been quietly but quickly gathering a fan base who site their undeniable chemistry as a rare and beautiful thing to see live. As well as touring nationally, they have performed on the stages of the National Folk Festival, Dorrigo Folk and Bluegrass Festival, Woodford Folk Festival, Tamworth Country Music Festival, Cullulleraine Music Festival, Maleny Music Festival, The Great Alpine Pick, and St Albans Folk Festival. In Hot as Hell in Heaven, Montgomery Church offer rich imagery to surround the perspective of an ex-con, who finds the world to be deceptive and confronting. Cielle Montgomery’s vocal commands over a subtle and hypnotic train rhythm on acoustic guitar, set against the growl of James Church’s dobro and the clash of chain-gang percussion.